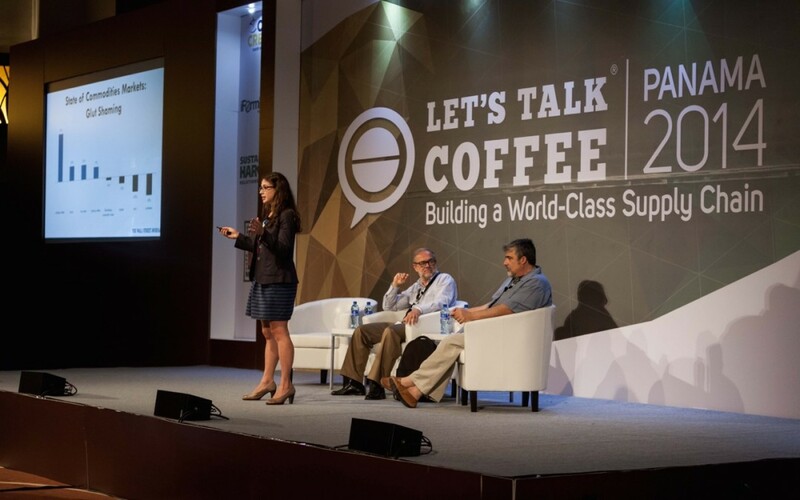 Everyone involved in the coffee supply chain knows that producers, roasters, and other stakeholders operate at the whim of an extremely volatile C market that creates challenges with every sharp rise and steep fall. The timing of this video alone illustrates the volatility of the market: Though it was recorded just 10 months ago, it documents a significantly different climate, where the market price was around $2.20 a pound (currently it’s hovering around $1.20). The presentations and panel captured here are interesting not just because they reflect a changed market, but because many of the insights provided here still ring true—even when the market was well over $2, there were still essential conversations focused on bringing better prices to growers. Following Leslie’s overview of the market and Carlos’ look at weather patterns and the perils of climate change, Ric joins the pair for a fascinating panel discussion that covers a wide range of topics that include global consumption patterns now and in the future; consumers’ increasing recognition of quality and willingness to pay more for it; and the unique coffee economy of the conference’s host country, Panama. Enjoy these experts’ takes on the complicated market that constantly influences our industry.